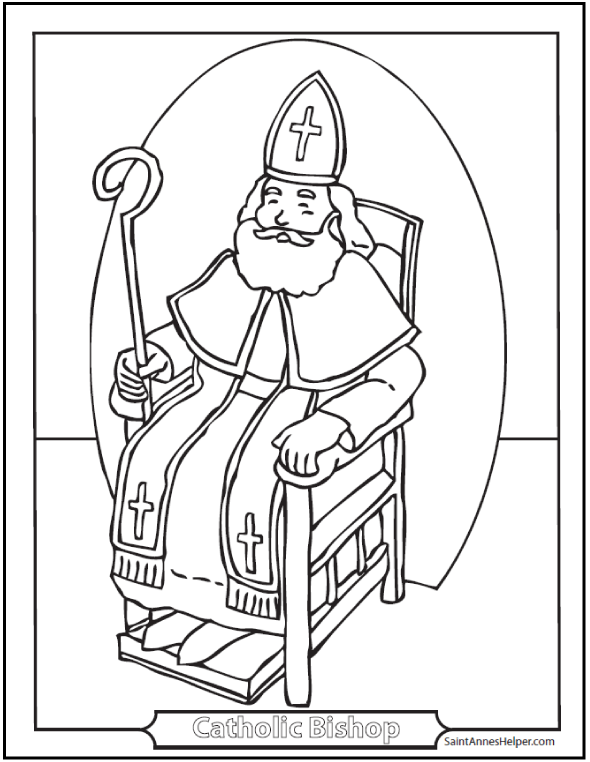 This Catholic bishop coloring page works for many Roman Catholic saints. St. Cyprian, St. Nicholas, St. Patrick, St. Charles Borromeo, and St. Francis de Sales were bishops. Prints 8.5x11" PDF single sided. Print this picture of a Catholic bishop here. There were many more Roman Catholic bishops that are saints. 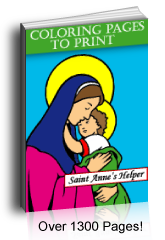 See several pages of Catholic bishops who were saints in alphabetical order here.